“…Agriculture policy in Manitoba has historically focused on large-scale export commodity production. However, the growing popular interest in local, sustainable food is prompting the province to take a second look at supporting local food systems to improve economy, health and food security. The message coming from the grassroots is clear: farmers, fishers, processors and citizens are demanding a say in policy-making and have formed a coalition under the banner of FEAST (Farmers and Eaters Sharing the Table) to encourage the Province to support local sustainable food. “Food produced and sold in Ontario now qualifies as “local,” thanks to updated rules from the Canadian Food Inspection Agency, which critics say was following outdated policies. 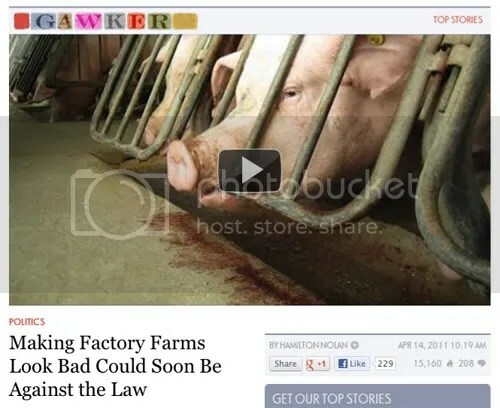 Meanwhile, in other news, it's becoming illegal to expose the practices of large scale industrial farms. You know, the sort of thing Upton Sinclair did with the meat packing industry in the early decades of the last century. Click image to go to Gawker to watch the video. If corporate interests have their way, you won't be seeing a lot of these kind of horror movies! Nothing like getting the power of government onside to help deal with upstart competitors. “The following is an editorial by Taylor Reid on the recent House Agricultural Appropriations Bill. Beginning Farmers is not a partisan website, and the opinions expressed are neither an inditment or endorsement of any political party. Above all the site supports farmers, all farmers. It also supports local food systems, sustainability in agriculture, development of rural communities, and child nutrition. Tagged as child nutrition, know your farmer, local food, rural development, U.S.
Once a breadbasket, Bella Coola hosts a Community Supported Agriculture project. "The project opened up a lot of people's eyes to growing more food here. 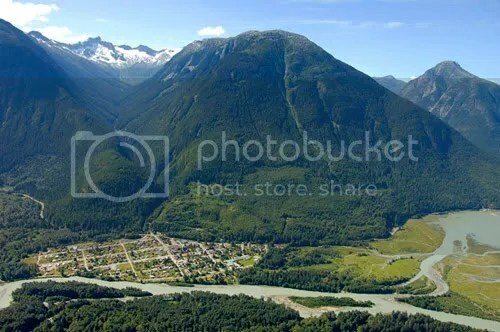 Bella Coola used to be the breadbasket for the Central Coast. That has all faded away -- but the potential is still there." “It’s a good day in Dease Lake when a produce truck breaks down on the Cassiar highway. 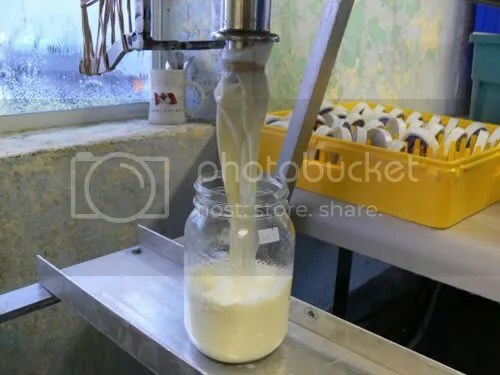 I'm guessing this must be raw milk being filtered for cosmetic use at Our Cows. Photo via Hella D.